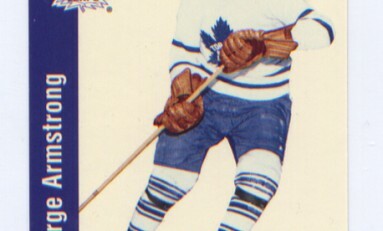 December 24th, 2012 For so many Leaf fans, there almost is no Leaf captain before George Armstrong. He is the last Toronto captain to play his entire NHL career with the Leafs. And save for a few years, he has been an employee of the Maple Leaf hockey club since his retirement.